* To provide a public demonstration to served agencies and through the news media of the value of Amateur Radio in times of need. * To provide training and experience in communication under simulated emergency conditions. * To provide a framework allowing all District Emergency Coordinators, Emergency Coordinators and Net Managers to evaluate how well they are performing. The scenario: A line of powerful thunderstorms, spawned by a hurricane, is approaching the state from the southwest. Strong winds, flood producing rains, damaging hail & lightning have paralyzed most of the counties in your district. Wind speeds exceeded 85 MPH and have produced many downed-trees causing power lines to fail. Estimates are between 85% and 90% of homes are without power. Many roads are impassable due to flash-flooding, tree debris, and downed-power lines. Communications has suffered greatly as well. Downed utilities, power outages, and failed back-ups have crippled normal communications. 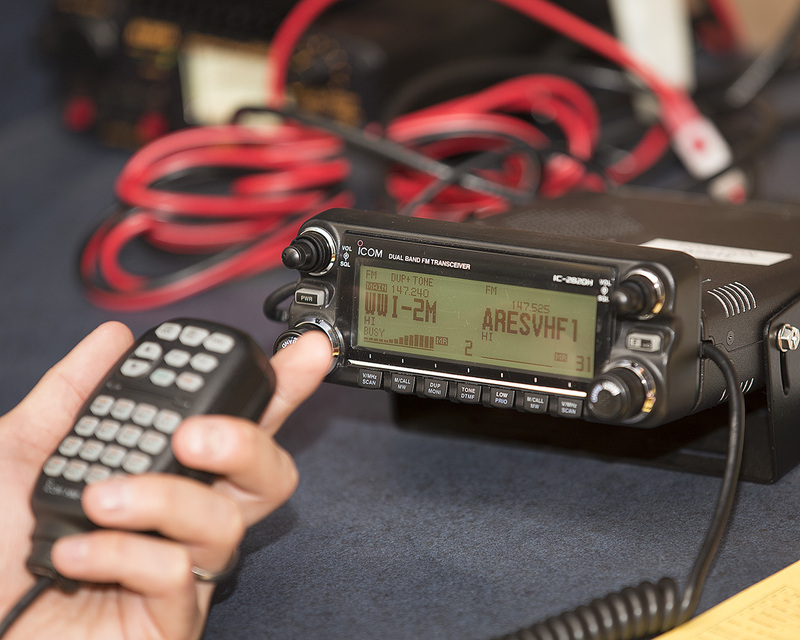 Amateur Radio operators have not gone unscathed. Repeaters without back-up power are no longer operational. 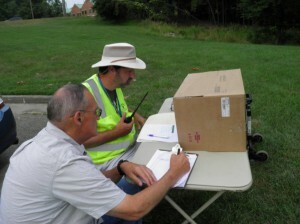 This gave us an opportunity to practice traffic handling and interact with both HF and digital networks. It also gave us the opportunity to practice with the ICS forms, especially the ICS–213 message form and the ICS–214 unit log. No problem checking into the HF SSB net. Good comms with only 10 watts on battery power. Many check ins, but didn’t hear them passing any message traffic. Was also able to copy PSK31 on 7050 KHz. 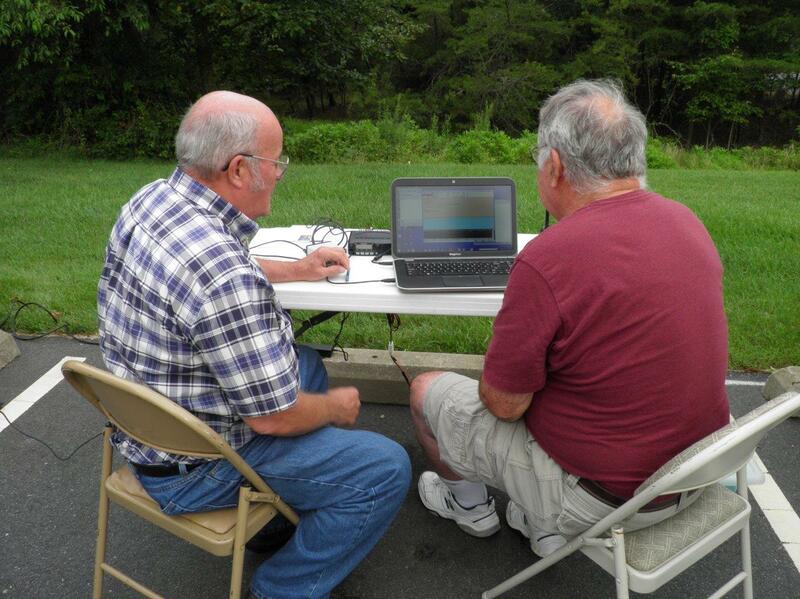 Several EOCs from other counties (W4COV and AD4TJ) then used VDEM frequencies, digital modes and waterfall to perform antenna checks, software checks and other tasks. 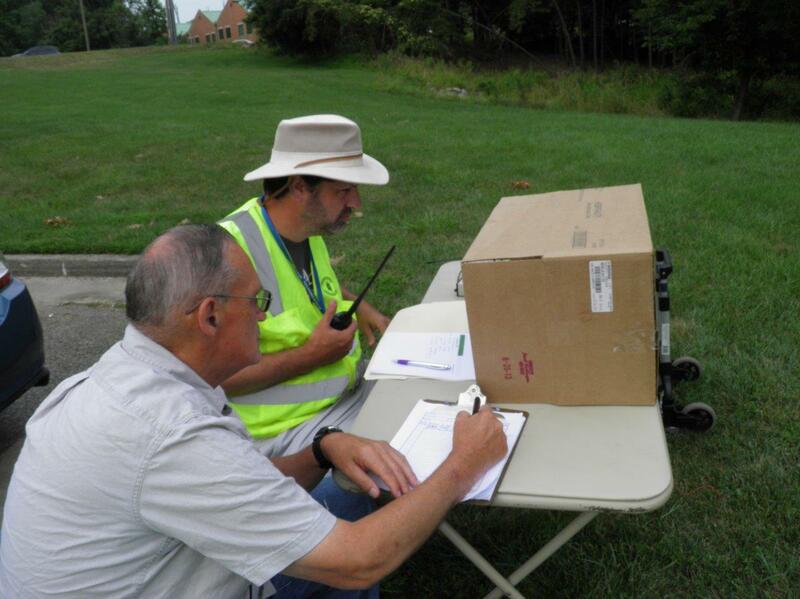 PWCARES VHF1 (simplex) worked well for passing traffic into and out of the EOC but verbal messages are slow. Effective but slow. VDEM should maintain a digital NCS throughout an exercise. In all, the exercise was a success from the PWCARES perspective, although I would say it was less than successful from a section level. Because they did not pass traffic, there was no indication of how the traffic would flow or if the net would be able to handle it. Traffic sent to the section from PWCARES was not transferred. Thanks to the cadre for their participation and to Andy, KJ4MTP, for the photos. Because of the high temperatures expected, we will move the beginning of the exercise back to 0830 EDT . If you are not coming out, but are going to be around during our training hours, please feel free to jump on the air and participate as well, either by voice or digital means. I will bring out a couple of pavilions for shade (and so you can see the monitors) and I will bring out a large video screen as well. Tables, chairs, and gear as I have room. We will be conducting a multi-pronged exercise. Chuck, KA3EHL will demonstrate remote control of an HF station, using BBHN. This should be quite interesting! As part of the demonstration of remote control, we will do some HF digital work. Coordination and details of the HF digital part of the exercise will be hashed out over the next couple of days with the parties who have volunteered. We will follow our normal plan of operations for VHF digital (see the Action Plan, section 6.11 for details). This is a good chance to come out and get your gear working, configure your gear, or find out more about digital. Please make sure you have the FLDigi software loaded prior to coming out, as we will not have reliable Internet connectivity. Please bring a sample ICS–213 form as we will do some voice message traffic work as well! Thanks to those who came out and to the K3FBI repeater association and Woodbridge Wireless. The weather was overcast, the trees were mostly bare. Operators set up at the Start/Stop location, parking lots C through I, Burma Road/Scenic Drive and Oak Ridge/Scenic Drive. 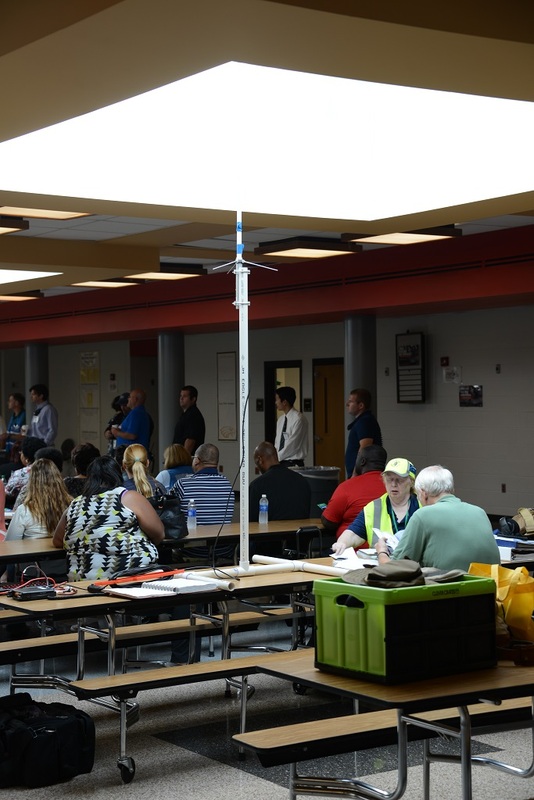 Start/Stop, Lot C, and Oak Ridge utilized 1/2 wave or greater antennas, most on tripods. The rest used some form of vehicle mounted antenna. Radios were primarily mobile radios running at 50 watts. In one case, while running Simplex, Burma Road utilized an HT at 8 watts, with a small mag-mount. 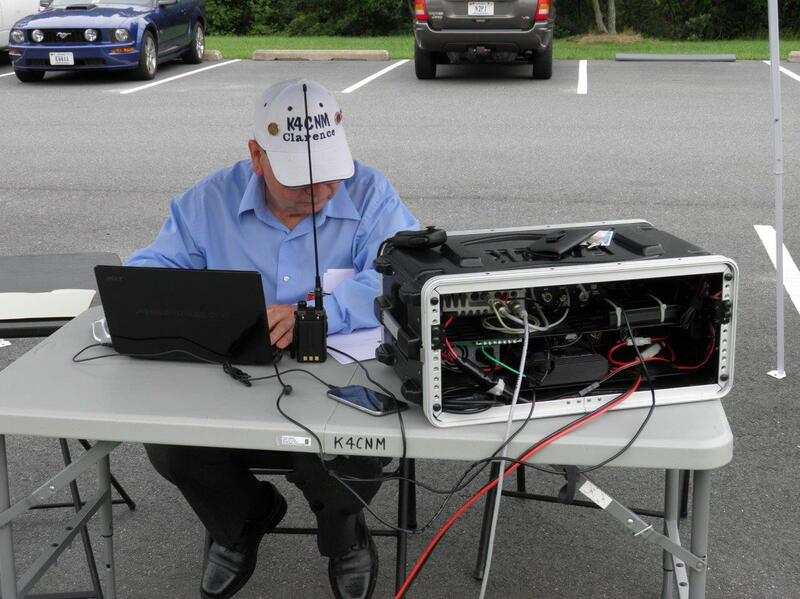 The test was to evaluate the performance of two repeaters (K3FBI, WWI) and simplex for use in the passing of messages for the Marine Corps Marathon Crossroads 17.75 race, to be held April 2, 2016 in the Forest. 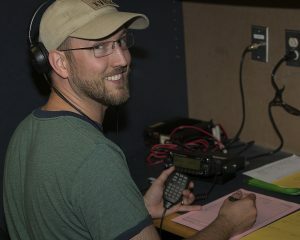 We know that the Forest presents unique challenges for radio communications and we needed to ensure that options were available come the event day. In all, both machines and simplex worked acceptably, with varying results of good, while simplex seemed to work the best over all. In general, the K3FBI machine performed better than the WWI machine, as expected. Despite being pointed out prior to the event, we had some issues with PL tones not being pre-programmed. This resulted in negative connections. There is also one indication of location deafness which may be a machine issue, a location issue, or both between Lot I and the K3FBI machine. We also experienced difficulties communicating between Lot I and Lot G, despite there being no issues communicating between Lot I and Lot H and Lot G and Lot H. Further investigation into the geography, topology, and geology between these locations will need to be undertaken. Start/Stop was running a mobile with a full wave antenna on a tripod. In all situations, the signal between Start/Stop and other locations was solid with this set up on all machines and simplex. Lot C was also running a full wave antenna on a short tripod with a mobile. There were some poor signal reports on the K3FBI machine and the WWI machine. This is likely the result of topology. Simplex resulted in a good, strong signal. 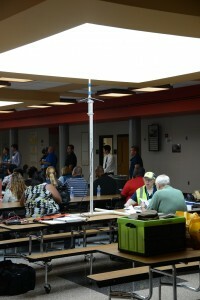 Oak Ridge was also using a full wave antenna and mobile on a short tripod. Results were mixed. Reports against K3FBI were mostly strong, while against WWI, they were weak to no response, likely because of PL. Simplex was also strong. Note (R) meant the signal was heard on the reverse, not the repeater. In one case, due to PL, in the other case, location and possibly an issues with the repeater. Note Initially Oak Ridge did not have the right PL configured. It was fixed. In general, the reception on the WWI machine was not as good as it was on the K3FBI machine. 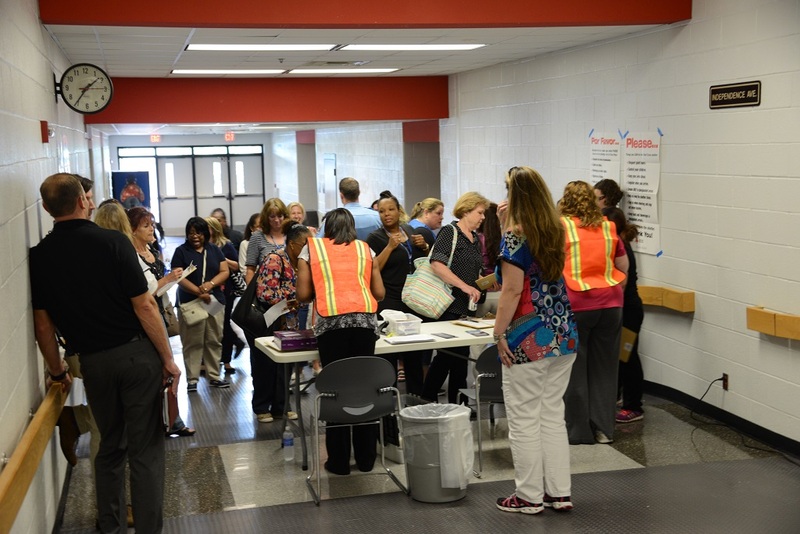 On Saturday, January 16, 2016, PWCARES had their normal training where we discussed preparing for all emergencies. This discussion was generated from this new reference page, which will now be found at Preparing for and Emergency and has its own tab. The slides from the presentation are available at Haiku Deck. Updates will be added as needed or relevant. Please send any corrections or updates to the Emergency Coordinator. Program “In Case of Emergency” (ICE) contacts into your cell phone so emergency personnel can contact those people for you if you are unable to use your phone. Let your ICE contacts know that they are programmed into your phone and inform them of any medical issues or other special needs you may have. What is your decision tree? How do you decide it is time to go? What do you need to shelter in place? What do you need to evacuate? If you own a cell phone, keep extra batteries for your phone in a safe place or purchase a solar-powered or hand crank charger. These chargers are good emergency tools to keep your laptop and other small electronics working in the event of a power outage. If you own a car, purchase a car phone charger because you can charge your phone if you lose power at your home. What happens when your commute does not go as planned? How do you get home if your travel system breaks down? Can you walk out if you have to? What happens if a disaster happens at work? When did you last exercise your plan? When did you last update your plan? What are you going to put it in? What would you do for shelter? Can you treat the water? Has everyone in the family taken a first aid course lately? CPR? Go bag should weigh no more than 1/4 your body weight. Do you know who to check in with? Are you prepared to be deployed longer than expected? Are you ready to be flexible? Do you have something to write on? Are you tires ready for winter? Your kit should be sufficient to sustain you, your family, and your pet, for at least 72 hours, either sheltered in place, or in case of an evacuation. You kit should include, water, food, and other supplies you will need. Remember that in the event of a large scale emergency, routine resources such as electricity, water, and sewer may also be cut off, so your kit should include resource to compensate for this. There are a number of ways to build or buy an emergency kit. A simple web search will show you a number of pre-made kits, complete with carrying devices, for anywhere from $40 to over $500. Even if you decide to buy one, consider what you need in your kit before you rush out to purchase one. There are several different personal emergency kits you could make and carry with you. Some fit in a small tin, other in a larger personal pouch. In most cases, your personal kit is not likely to pass muster with TSA unless you remove certain objects. The following items are suggested when selecting emergency food supplies. You may already have many of these on hand. You should store at least one gallon of water per person for three days. A normally active person needs about three quarters of a gallon of fluid daily, from water and other beverages. However, individual needs vary, depending on age, health, physical condition, activity, diet and climate. This list is not all encompassing and should be amended and supplemented as needed. For example, if you have a pet, you may want to add a grooming brush or favorite chew toy. Important family documents such as copies of insurance policies, identification and bank account records in a waterproof, portable container, flash drive, or stored in the Internet. It’s a Disaster …and what are you gonna do about it? Every indication is that 2016 is going to be a busy year. Starting off with a bang, the weather. As we go into 2016, we are already dealing with record warm temperatures caused by our friend El Nino. According to most sources, this is not likely to let up in 2016 and has been called a Godzilla event. The predictions for warmer, wetter weather in the Northeast are already up, as well as predicitions for heavy rains and mudslides in California. In between, who knows what will happen. There is already heavy flooding in the midwest, especially along the Mississippi which we do not normally see until spring. So already, 2016 is going to be a year of some unpredictability. Which brings me to the first topic: Are you, and your family, prepared? Survive for the next 48–96 hours? Be able to fill in the insurance paperwork to get the money for the things I lost? Other things that might be critical? There are a number of things that could put you in the situation where you cannot get to your critcal paperwork. Do you have copies of it in a secure location (or several secure locations?). Make photocopies and send them to trusted releatives (or friends), get a safe deposit box, make copies and carry them on your phone, or put them in some off-line storage. These are just some of the suggestions. Can you survive for 48–96 hours? Food? Water? Generator? Batteries? What do you need to survive. And do not forget your pets. Last winter there were several cities that had power outages for extended periods of time. Clearly staying in the house was not an option and many went to hotels. Do you know the nearest pet friendly hotel? An all-hazards aproach to preparation is best, but it means you have to sit down and take a look at what you have and what you would need. For additional information, please visit the FEMA READY website. The Training link has been updated for 2016. More information will be added as events are confirmed and finalized. But if you are curious, here are some of the PWCARES specifc training plans for this year. The last time PWCARES participated in Field Day was 2008, and you can see the video here if you are interested to see what we did. It does not have to be a large operation, but it would be nice to put on a demonstration. If you would be interested in heading up the effort, please contact David, KG4GIY. 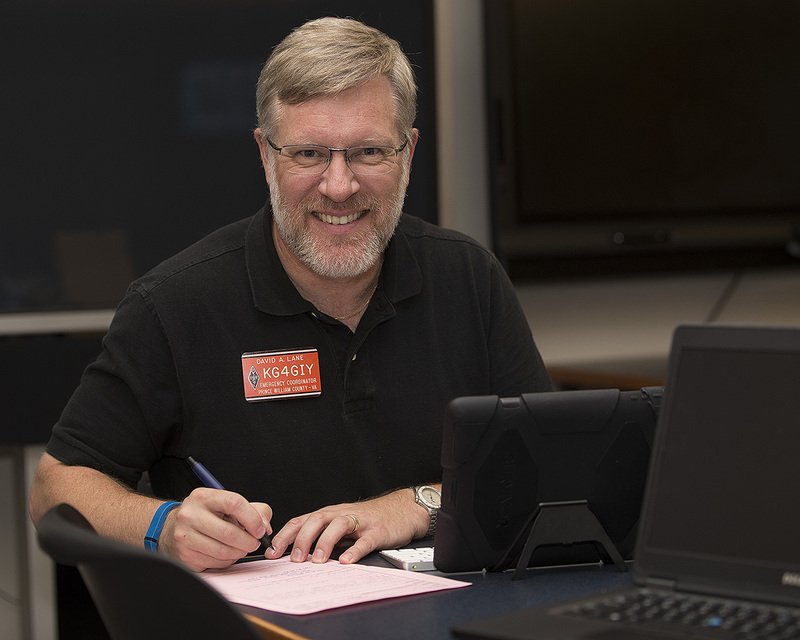 Every October, the ARRL conducts a simulated emergency test (SET). Traditionally, the SET for Northern Virginia has been the Marine Corps Marathon, an event that requires over 150 operators. This year, our new Section Manager wants to do a section wide SET. And of course, the Marine Corps will still be hosting their marathon, and they will still need operators. The specifics of the exercise have not been released but once they are, they will be communicated to the cadre so you can balance your participation in the SET and the Marine Corps Marathon. Two MCM events, the Crossroads 17.75K and the Turkey Trot are held in Prince William County every year. This year the Crossroads 17.75 will be held on Saturday, April 2, 2016 in the Prince William County Forest. We usually need about 20 operators for this event and a sign-up link will be sent once the Program Office provides it. The Turkey Trot is normally the third Saturday of November, this year, Saturday, November 19, 2016 at Marine Corps Base Quantico. This is a good introdcutory event. We use about a dozen operators for this event. Details will be provided as we get closer to November. And there we have it. It is already a busy year for us and more events will be added as the year progresses. 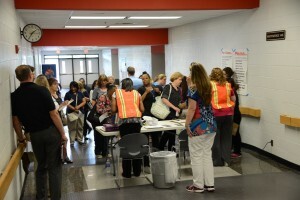 For example, there has been a discussion about doing a county-wide exercise, but there are no details availble yet. As always, if you have questions, issues, or things you would like to talk about, please contact David, KG4GIY. Where did the year go? No, really? What happened to 2015? It will go down as being warm. Thank you El Nino for providing us with one of the warmest Christmases on record. It was quiet, from a hurrican perspective in the Atlantic basin. Again, thank you El Nino. It was, weatherwise, a very calm year. It was also a quiet year event wise. Prince William County ARES participated on one exercise, Operation Summer Deluge and a couple of Marine Corps runs providing safety and security on the course. We will be doing it again in 2016. We have had a couple of quiet years. It has been nice. We have added new members, and focused on beefing up our digital activities. We will move on in 2016 to increasing our use of digital systems and work with Prince William County to integrate with their systems as best we can. Practice, practice, practice. There is never enough time to practice. Traffic handling. We need to practice traffic handling, both voice and digital. Again, we never practice this enough. BBHN. I am looking forward to seeing what BBHN can do to improve our digital connectivity. HF Digital. I would like us to work on our HF skills, and HF digital is an increasingly popular way to do that. MCM support. We will again be supporting the Marine Corps Marathon program office at the Crossroads 17.75 and Turkey Trot directly as well as the Marine Corps Marathon indirectly. Practice, practice, practice. Did I mention we will be doing lots of practice? Want to get more invovled? Our next meeting is Saturday, January 16, 2016, at 0900 at the Prince William County EOC, 3 County Complex, Prince William, VA. Hope to see you there. On Saturday, July 19, 2014, the Prince William County ARES cadre took to the field for a communications exercise. The exercise was centered around a recovery operation, the day after a hurricane came through the region. 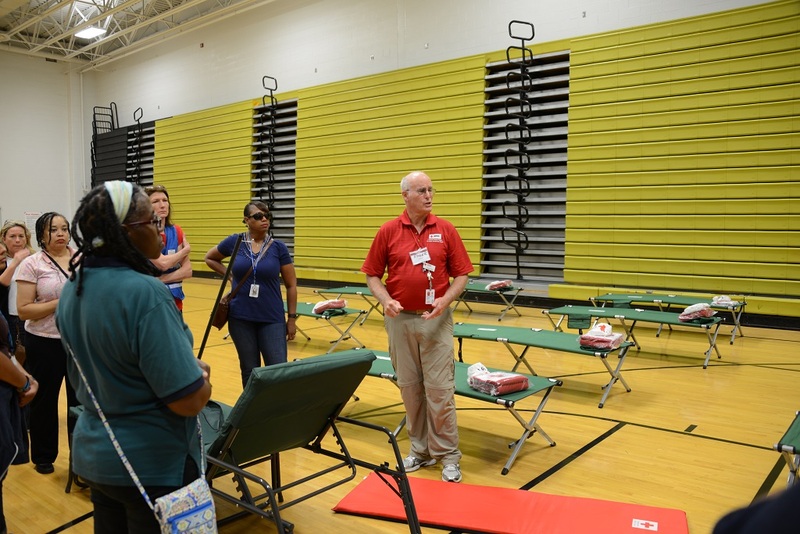 There were seven operational stations representing the Emergency Operation Center, the two primary hospitals in the county, two shelter locations, and two points of distribution for supplies. The exercise was designed with a mixture of message types, both voice, and digital. The messages were representative of the types of traffic that would be passed during a normal activation. There were fifteen operators acting as the various locations. It was a successful exercise with numerous lessons learned and several opportunities for improvement in the coming months. One of the best exercises we have done! It was one of the first blended (voice and digital) exercises we have done as a cadre and the first real exercise we have done in the last couple of years. Everyone using digital stations did manage to pass at least one message and the messages were received by every participating station. We need to work on our voice message passing. We are out of practice. Some additional work on “prosigns” and procedure needs to be done. Eric, KK4NXU has offered to spearhead an ARES practice network. Details to come. Another confiruation session (including some documentation). 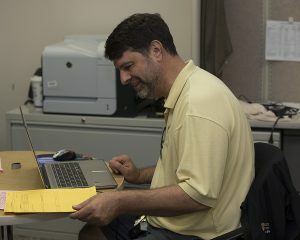 David and Chuck have volunteered to host a configuration session in August. A useage session was also requested to go through how to do things, like send message traffic. A session for this will also be set up. We need to start moving the stations apart and to that end, as part of the potential ARES net, we will work on voice and digital. This is also a work in progress. A PC in the EOC will need to be configured with FLDigi and be part of the EOC network for access to WebEOC for cutting and pasting. David will take that up with Pat this week. Thanks to Paul, N2PJ, for the great pictures!